Keep up to date with Janice Nelson's blog! It has been a minute since I did a blog post, so here is an update on new products and designs! I have added many new art prints to the shop, including some adorable watercolor dog portraits! I am currently taking orders for 8x10 custom pet portraits. These make great gifts for friends or family, but also are a lovely gift for yourself to have of your pet. I am in the process of expanding my greeting card collection to include cards for different holidays and special occasions - these cards are cute, colorful, and great for so many different things. Keep an eye out for new designs and product launches throughout the rest of the year! It has certainly been a busy few months! I just recently launched my new greeting card collection. All of these designs are from my original watercolors, and have been printed on high-quality card stock. 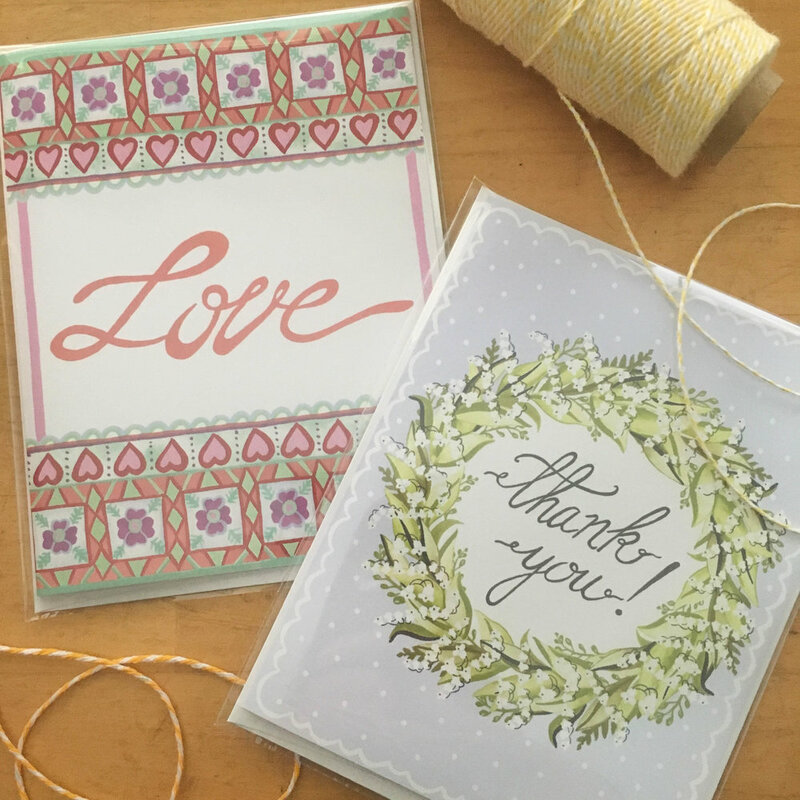 They are great for birthdays, thank you cards, miscellaneous holidays - you name it! Many are inspired from Florida - so color is abundant in these beauties. I will continue to add new designs to the collection as time goes on. These are all also available as art prints - check them out under the art tab on the website. Happy shopping! 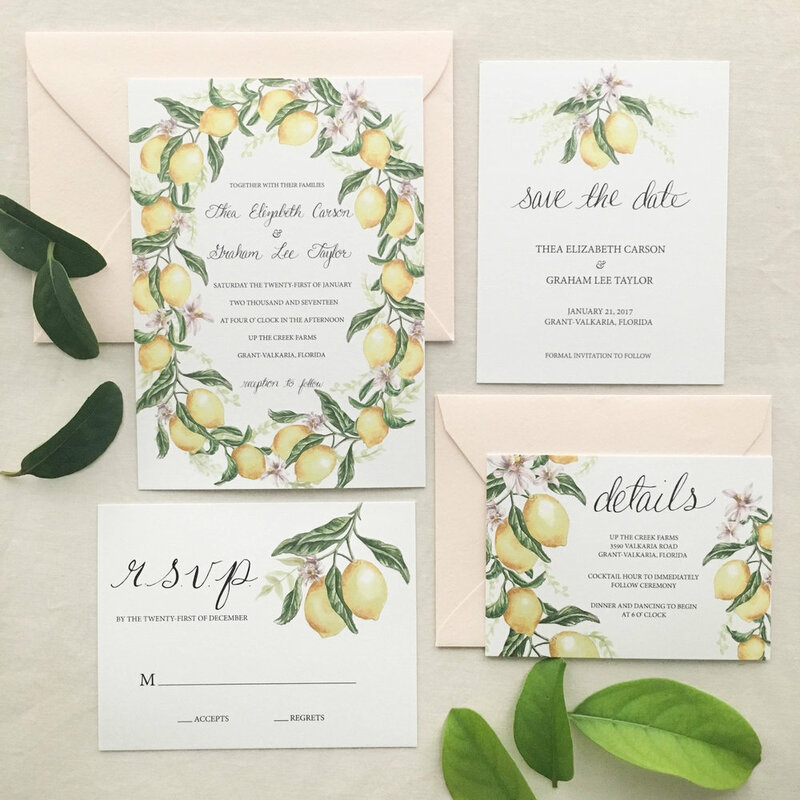 New Custom & Semi-Custom Wedding Stationery! Today is the launch of my new Custom Stationery and Semi-Custom Stationery collections! I have been working on getting wedding stationery into the shop for a good portion of this year - and I am thrilled that it is finally up! The Semi-Custom collection lets you choose from different calligraphy styles, text fonts, ink colors, and envelope colors. I can't wait to work with clients on custom stationery for their wedding days as well - it is so much fun to create artwork that suits the look and feel of someone's wedding. I created all of these stationery designs with watercolors, gouache, and pen. I will do the same for any custom order - but feel free to contact me if you are looking for something else! So take a look around the new 'Wedding' tab on the website, and message me with any questions.